Radio Summerhall chat to Veloninos! After playing live in St Andrew Square, Edinburgh last weekend Jim from Radio Summerhall caught up with Kenny and Laurie for a chat about the band and album. Catch up around the 1 hour 7 minute mark here: https://www.mixcloud.com/radiosummerhall/music-routes-27/. Veloninos live on BBC Radio Scotland! It was great to be at BBC Radio Scotland‘s Big Blue Tent yesterday! We performed “Hey Véloniño!”, “These Quiet Lands” and “Hoodoo Man” in the second hour of the show. You can listen again on the BBC website here: http://www.bbc.co.uk/programmes/b07mzlky. Official Véloniños t-shirts are now available to buy online only through Music Glue! Available in black and white variations, you can get them on their own or with a copy of our album in physical CD or digital MP3 format. The t-shirts are 100% cotton and their designs are printed direct-to-garment for a high quality and long-lasting finish. They’re fully wash and colourfast to 40°c in all popular washing products, can be dry cleaned and even tumble dried at low temperature. Visit our Music Glue page to browse through the options: www.musicglue.com/veloninos. A clip of us performing “Hillbilly Girl” live at The Glad Cafe in Glasgow on Saturday 4th June 2016. “Hillbilly Girl” appears on our self-titled debut album which is available now in physical CD and high quality digital formats direct from us at: www.veloninos.com/shop. R2 Rock’n’Reel review the Veloninos! It was great to see David Burke’s review of our self-titled album in the latest issue of R2 Rock’n’Reel Magazine. The album is available now in physical and digital formats from www.veloninos.com/shop, iTunes and Amazon. 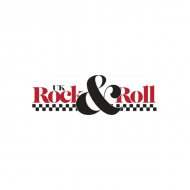 UK Rock’n’Roll Magazine review the Veloninos! We were really happy to see UK Rock’n’Roll Magazine review our recently released self-titled album in their May 2016 issue. Be sure to check ’em out at www.ukrock.net. “Alabamaman” added to BBC Radio Scotland’s playlist! We’re so happy to see that our song “Alabamaman” has been added to BBC Radio Scotland’s playlist! “Alabamaman” is from our recently released debut album available now in physical and digital formats through the Veloninos.com Shop, iTunes, Amazon and many other retailers. “Helenstown” on BBC Radio Scotland! 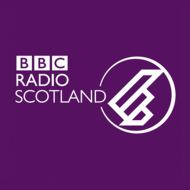 Thank you to Billy Sloan at BBC Radio Scotland for playing our song “Helenstown” on The Billy Sloan Show at the weekend. The show aired Saturday 9th April 2016 and is available to replay for a limited time on the BBC’s website by clicking here. The Billy Sloan Show airs every Saturday and Sunday night from 10pm on BBC Radio Scotland.